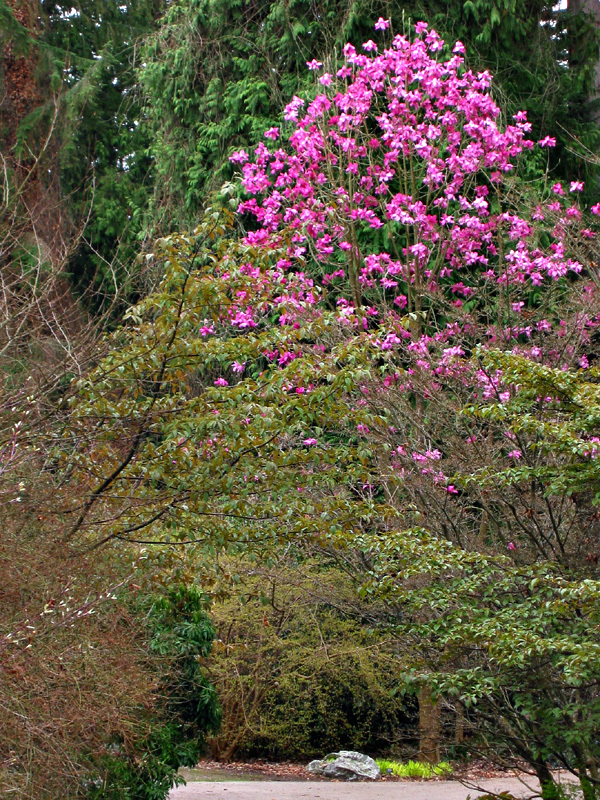 At UBC Botanical Garden, this magnolia cultivar has the deepest colour of all of the large-flowered magnolias. An impressive specimen, it is named for the gardens of Borde Hill in the United Kingdom. As a photographic aside, it also shows the difficulties of photographing complete trees in the forested Asian garden without a wide angle lens. Fortunately, I now have one, so expect improved photographs using this tool after I return to work in a few week’s time. Botany resource link: Dias com árvores–mostly in Portuguese, but that shouldn’t prevent you from exploring this wonderful weblog about plants. Daily postings with an emphasis on trees, nearly always accompanied by photographs. I think this is one of the best I have seen so far! It is truly lovely. Eric has this view from his window. My favourite.